Are you someone who thinks that launching a buy-sell ads marketplace with an open source PHP script and avail it to the users to make a fortune? Then you might be very much aware of the milestones which you had to overcome to become the leader in the industry. As you would have known the number of classified websites available in the market which suffers a lot to succeed in the crowded market. There are quite many numbers of websites which offers their services completely free. Yet they couldn’t taste the success as due to the entrance of many classified websites regularly. So, it takes huge courage to imagine and launch an online classified website. Kudos to that…! Now let us know the key factors which many marketplaces fail to follow prior to launching their website. The reason for the failure of the majority of classified marketplace website is the lack of research. Classified Websites are highly competitive these days. Choosing a niche which no one hasn’t picked is the best option for a classified website. Have you ever thought of surpassing the sites which are already in the market for years? Yup…Building a classified site for all niche is totally a waste of time. Focusing on a single niche is way better to outrank your competitors. This might make you think there would be someone who already works on the same niche. Don’t worry if they just stalk their keyword and location to increase the chance of outranking them. The next was the most important point to think on how to create a classified website. A classified platform would require huge data resources. So, it is advised to be wise when selecting the option of creating the website. Building a website from the scratch would be time-consuming and costs more of your dime. So it’s eventually time & dime consuming. Opting for a theme using WordPress and installing it with all the necessary plugins into your system is much easier. You just have to optimize it carefully as the methods followed by Quicker or OLX. The most reliable, time-saving, easiest and trendy way to create a classified website is Ready-made solutions. Of course, the Readymade PHP Scripts are highly affordable with database setup. You just have to install the script in the Server and within hours you will have your own website. Go for this option if you are in search of an affordable classified website with ultimate features in a short period. You may just search for the best-classified script or letgo clone or 5miles clone to find the companies which avail Readymade solutions. Find here why you have to go for a letgo clone for your buy sell ads marketplace. Also, look for the key focuses to pay attention while choosing a letgo clone script. You may have heard this that Content is the King. Yes, it is but only if it is of good quality. The major factor in increasing the traffic to your website is content with quality. Write blogs with quality information to your niche and share it with the social network and other sites. Post ads on the niche classified sites and ask your friends, family, and neighbors to share your content to reach a huge user-base. The Ads and the posts which you do should be legit and doesn’t be spammy as it won’t bring in you any users. This is what every marketer do, they promote their website where it had to be and attract traffic. Any website is not useful without organic traffic. So promoting your website as much as possible to gain more organic traffic. Also, optimize the website with relevant keyword and start creating backlinks, promote your website on social media. You could also run Google Ads and FB Ads with the budget you have. FB Ads are more affordable than Google Ads. You may attract huge traffic to your website if you post relevant links and show relevant ads to relevant people. Also Read: 5 Reasons Why Entrepreneurs Should Prefer Classified Business? Once you had your own enough traffic and visitors, you are now capable of earning more money through it by running ads. You have to understand that your website traffic should be real with unique contents and should be updated regularly to get the approval of ads on your website. That’s that, above are the most important aspects which should be keenly noticed to start and monetize a classified website or buy sell ads marketplace. 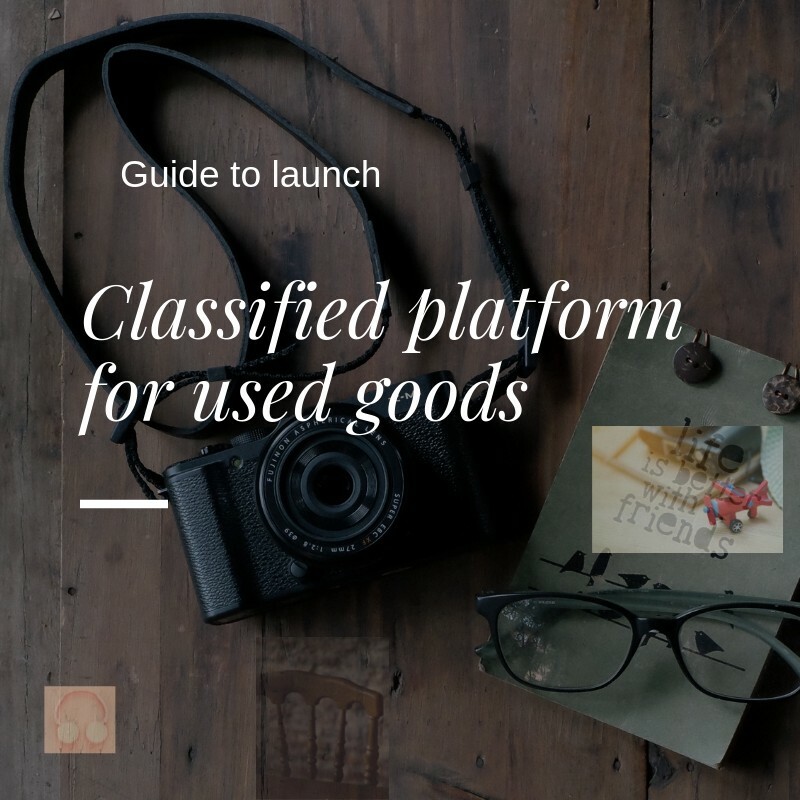 Above are a quick guide to understand and overcome the difficulties in launching a successful marketplace. Make your own strategy and implement each step wisely, you will definitely achieve more than your expectation. Cheers…! I love everything visual, from photography to graphic design and special effects. I have been writing for a few years. And I specialise in creating content.